Godzilla is a terrifying creature to beef with, but there are kaiju out there willing to take up the task. Over the decades, Japan has rolled out lots of formidable foes for Godzilla to play with, and a new look at been shown at one who will head into theaters this year. So, if you don’t know who Rodan is, then you better prepare to meet the beast in a couple of months. Thanks to Empire Magazine, a still has surfaced of the kaiju Rodan, and it comes from Godzilla: King of the Monsters. As you can see below, the image shows off big the fiery beast it, and it proves mankind has little hope against annihilating the titan through traditional means. Rodan is seen in the back with his wings extended to their fullest. As his bottom feet reach out, the dinosaur-like creature is lifting himself further into the sky on a chase. A set of high-tech planes are seen jetting away from Rodan and the debris he has kicked up. However, it doesn’t look like the kaiju is ready to let the fleet leave his sight. 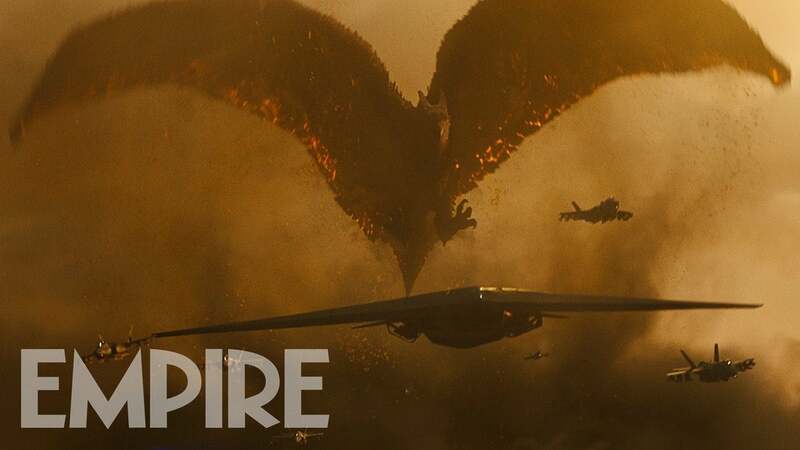 According to Empire Magazine, this scene is just one of many that will feature Rodan, and the beast’s threat level has been likened to that of an atomic bomb by director Mike Dougherty. So, are you excited to see Rodan take to theaters this year? Let me know in the comments or hit me up on Twitter @MeganPetersCB to talk all things comics and anime!